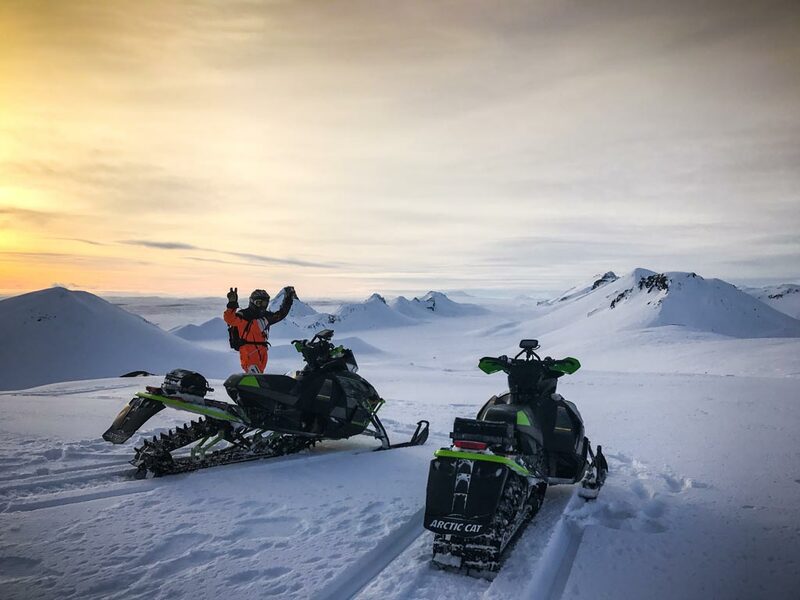 Explore Iceland’s most iconic attraction and take a thrilling snowmobile ride on a glacier on this day adventure! 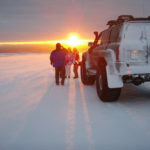 This day includes scenic sites, mountain tracks, and snowmobiling by Langjokull glacier. In the morning, you will be picked up in our modified super jeep, for a day packed full of wonderful sights. You will visit Thingvellir National Park, which is quite unique for its’ landscape, where the tectonic plates are drifting apart. 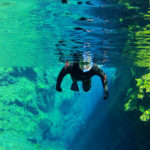 Further inland, you will find the iconic Geysir area with its’ spouting hot springs, where Strokkur can reach the height of around 25 meters, erupting every 10 minutes or so. You will also stop by Gullfoss waterfall, one of the many amazing waterfalls in Iceland, known mainly for its’ majestic beauty. A little bit inland after Gullfoss, the action starts. 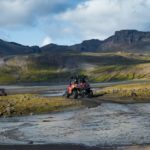 This is when you will see why the super jeep is needed, as you drive through rugged landscapes and rough terrain, up towards Langjokull glacier. Prepare for a smooth, but bumpy, ride. Once you reach the snow, you will join a 1 hour guided snowmobile tour in the amazing glacier landscape. All the gear for the snowmobile tour is included, for a warm and safe journey. This is not your normal Golden circle tour, so be ready for a tour of a lifetime! Does the snowmobiling not appeal to you?